When I see the plane with the Eskimo pull up to the gate, I know that I am going home. No other airline can give that feeling, that sense of place. The designer of the original logo I believe is a little known Oregon writer named Larry Leonard. He could tell you who the inspiration was for the original one. I’ve ruled out Stewie Griffin and Bart Simpson. The head shapes are far too different. I’ll keep thinking about it. My first job was with Alaska Airlines. I loved the company then. I still do. Did you read Vic Warren’s article that I referenced earlier on the creation of the image? This first-person report by the art director of the Airline’s ad agency sounds more credible than the story of someone who, as a child, was told he “will soar farther than eagles,” and now “knows” the face is his image as a young man. I allways thought it looked like Merv Griffin. Thanks for sharing a great at story around your brand heritage and a nod to Alaska’s indigenous people. I fly Alaska nearly every week and it is by far the best airline in the world. From your service to your mileage plan I’m always impressed. Having had the opportunity to meet several companies executives, I feel Alaska is a company that is connected to it’s customers and guided by strong core values and an appreciation for the business of flight. Keep up the good work and great job on the brand update. We started flying with Alaska Airlines because a nephew is a pilot with them. Such good service–have flown with them ever since. New paint job looks fabulous! My first flight on Alaska was in 1996. Now, 20 years later, it is still my preferred carrier. I have flown many times on Alaska in the last 20 years: our daughter attended UAS; I have attended WhaleFest in Sitka every year since 1997, and I was thrilled when Alaska began service between Denver and Seattle…no more flying the big, uncaring carriers to Seattle to connect! I have never had anything but an enjoyable and comfortable experience with Alaska. I was happy to see on my flights in November, 2015, that the seats had power outlets. It just gets better and better! As for the face on the tail, I really don’t care if it is a real person or not, but I vote for Oliver Amouak. The picture of him in the story is exactly the same as the tail painting. I do like the new color graphic, although the old one was fine. 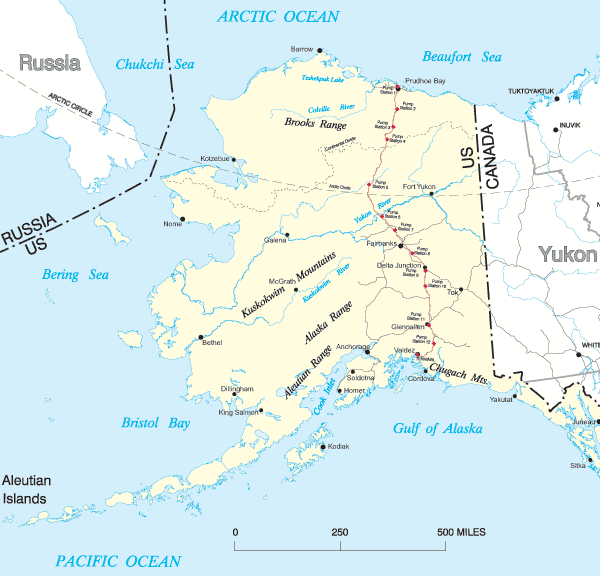 As for the new printing of the word “Alaska”, I don’t care for it so much. The old signature’s letters were, to me, uniquely Alaskan, and I will miss them. Change for change’s sake sometimes isn’t better, it’s just different. But as long as the company philosophy and manner of doing business remains the same, I’m good. I will always fly Alaska when I can, and I always look forward to it. No other airline has such consistency in great service, great employees, and great quality of product. I just cannot say enough nice things about Alaska Airlines! Oh, and I have a friend in Phoenix whose young daughter calls Alaska “the Abe Lincoln airline”. I love flying with you! Can you please look start a direct service SJC to MLM, I’ve flown Alaska on SJC to GDL and I love the service. Whether flying to Alaska for great fishing or travelling to Northern CA, Portland OR, or Seattle WA. I have always enjoyed flying Alaska Airlines. I enjoyed the story behind the Eskimo on the tail very much. I have flown Alaska Airlines for over 50 years. I can’t recall a disappointing experience with ticket counter, gate agents, baggage claim, or flight crew on any of the flights. I love the Low Fare Calendar and the Mileage Plan. I do miss the tiny Psalm leaflet that used to come on the food tray. I wrote to express my appreciation and got a personal reply from Bruce Kennedy when he headed up Alaska Airlines. Wow! Love Alaska! When we fly, we always fly Alaska if we can! Friendly Staff great planes with more room than the competition. I feel like a person not a number! In 1978 I was told who the the model was for the icon, by the mans nephew. I will never tell who it was because it is so neat to keep the mystic alive. You mean…it’s NOT Johnny Cash????? Alaska Air for long distance and Horizon for regional travel has been our only choice for so long, we can’t remember having another. Our experience in making arrangements with or flying with Alaska has been consistently good. The only times we have ever had to wait was a couple of times in Alaska, due to dicey weather, and waiting in an Alaska terminal is like old “home week” with the personnel and the other passengers. We loved reading about the history of your “family Icon” on the tail. We think of you as family. “But who is it?” I thought that question was answered by this article in 2013 by Vic Warren: http://www.vicwarren.com/fly-with-a-happy-face He writes that he was the art director for the Airline’s ad agency in the 1970s, and was responsible for the Eskimo design. He said the image was loosely based on Chester Spivik, a greeter for the airline whose story sounds just like Chester Seveck’s. Undoubtedly they are the same person. Lived in the Fairbanks area for 19 years. Don’t’ think were suppose to know who’s face it is! Just that it represents Alaska and it’s Native peoples. Will say it’s the best, Air Lines, I have ever flown on. Flew out and back several times and once so far up and out. Hope they keep the Eskimo on the tail for ever. Lived in The Fairbanks area for 19 years and never heard this story till now. I don’t’ think were suppose to know who face, it is. Just that it’s represents Alaska and some of it’s native peoples! However it’s the best Air lines I have ever flown on going to and from Alaska. LAST YEAR,2015, I GOT TO FLY ALASKA AIRLINES FOR THE FIRST TIME. I NORMALLY AM AFRAID AND NERVOUS ABOUT FLYING AND HAD ONLY FLOWN A COUPLE OF TIME IN MY LIFE, I AM 85 YRS, OLD AND HAVE A HARD TIME GETTING AROUND. MY DAUGHTER, IN CHILOQUIN, OREGON, BOOKED MY FLIGHT. I’M HARD OF HEARING AND NEED HELP GETTING AROUND. I CAN’T SAY ENOUGH ABOUT HOW IMPRESSED I WAS WITH THE SERVICE AND ATTENTION I GOT.. FROM THE TICKET AGENT, TO THE ATTENDANTS WHO KEPT AN EYE ON ME, THE PEOPLE WHO MET ME WITH A WHEELCHAIR, PICKED UP AND CARRIED MY LUGGAGE AND THE BREAKFAST WAS SUPERB. I FLEW FROM SAN DIEGO TO PORTLAND ON ANOTHER AIRLINE AND ALASKA TO MEDFORD OR. WHERE MY DAUGHTER MET ME. WHAT A DIFFERENCE IN AIRLINE SERVICE! I PLAN TO TAKE THIS TRIP AGAIN THIS SUMMER AND I WILL HAVE SOMEONE DRIVE ME TO LAX AND TAKE ALASKA STRAIGHT TO MEDFORD! I WAS PLEASED THAT HORIZON AIRLINES WAS A PART OF ALASKA. MY SON WORKED FOR HORIZON OUT OF FRIEDMAN AIRPORT IN HAILEY, IDAHO AND THEIR SERVICE ALSO WAS VERY GOOD. PARDON AN OLD LADY FOR RAMBLING BUT I COULDN’T MAKE THIS ANY SHORTER AND SAY ALL THAT I WANTED. I FEEL LIKE ALASKA IS AN OLD FRIEND. A customer since ‘ 72. Have tried several times to find a reason to go somewhere else, but have been unsuccessful. Nothing like flying with Alaska Airlines! I, apparently not alone, first considered it to be Johnny Cash. couldn’t understand why until I joined |Alaska Air, now I’m just confused – but good PR piece. This story personifies my impression of Alaska Airlines: personal and professional. Thank you for sharing the history and keep up your great work. I still remember the richly colored cabin and Golden Samovar service when flying on Alaska Airlines as a child. I have the original painting that was used to propose the design on the tails of the Alaska Airlines jets at that time (1977?). My good friend, who was the creative director of the ad agency, which I believe was Richardson, Siegle, Rols & McCoy gave me that painting for my agency office. He has since passed away. Contact me and I can send you a photo of the painting and more information on it. Love the Eskimo, love the lei….miss the sunglasses!! Alaska is the only airline we fly in the West. We drive 100 miles to take a flight out of San Diego to Maui rather than take another airline out of LAX or ONT. Nicest people from the check in to the people on-board. When I tell them “Thank You” we really mean it!! I grew up Eskimo dancing & jumping on the old skin blanket toss with Chester’s group for the tourist who visited Kotzebue daily during the summers at one time…..that’s who we all believe it is……..but, in reality it represents all the last of the last frontiers native people ….ALASKA …..the former station manager Byrd Schaeffer Shrader told Ak Airlines employees that if you get rid of the Eskimo…..you are getting rid of me! This is a very unique symbol that Ak Airlines has stumbled on, wear it with pride & respect for the state & all its people in ALASKA! We Alaskans are a very PROUD People! Ak Airlines has the monopoly in Ak, so please continue the cheaper flights offered on the website. There is nothing like being thousands of miles away from home, and I see the Eskimo flying over!!! Reminds me of the place ide rather be! Love the story about the Eskimo on the tail! Wonderful video and read!! Been an Alaska fan for about 40 years!! 35 years ago had to fly with a sick baby from Anchorage to Seattle. The help from all the staff; agents in Anchorage, flight crew, and ground crews in Seattle, went so far above and beyond what was required, that it endeared me to Alaska for life! I now often fly to Hawaii and always choose Alaska Airlines. They have never let me down, always so positive and helpful!! I have 3 comments: Last year my wife and I flew Alaska Airlines from SEA to ATL. We were fortunate to fly on your Boeing 737-900, and experienced the new Ricaro seats. They were the most comfortable seats of all. We connected with a competitor from ATL to CHS, our destination. WHAT A DIFFERENCE, between your seats and the competitor seats. Next: Your inflight service was the best I have experienced. Lastly, I noticed a one of your Boeing 737-900 aircraft taxiing to its gate at CHS. People waiting for their departure, went to the windows to watch the Eskimo arrive. After that flight disappeared, the onlookers returned to their seats. It was not an arrival, it was a statement, I am very pleased that a decision was made to retain Mr. Eskimo as part of your logo. Finally, this year, I and my wife are returning to the Northwest. Guess what airline, we booked? This adds to my appreciation of the airline. I have always appreciated its efficiency and dedication to good service, but now there is also a personal story connected to my experience–which has been going on for about 45 years. Thank you for the history and background of Alaska Airlines. I always wondered about how it began and why the logo. As a resident of Hawai’i, I am glad to see another entity flying to and from Hawai’i. I shy away from the larger companies due to their seemingly lack of small but meaningful personal touches, which can be uplifting to anyone. On my first login to your website and as a not so savvy IT person, I was impressed with its user friendly features with ease of navigation. Contacts with all staff has been pleasant and knowledgeable with the attitude and action of helpfulness. I hope you keep that logo, it represents your uniqueness. It’s heartwarming to know the story behind the face. I love the new colors too, blue and green. Seahawks colors ???????? Go Hawks! ???? Too bad Bruce Kennedy isn’t around…I’m sure he knew. But, I think it was Tom Brower from Barrow…looks just like him. 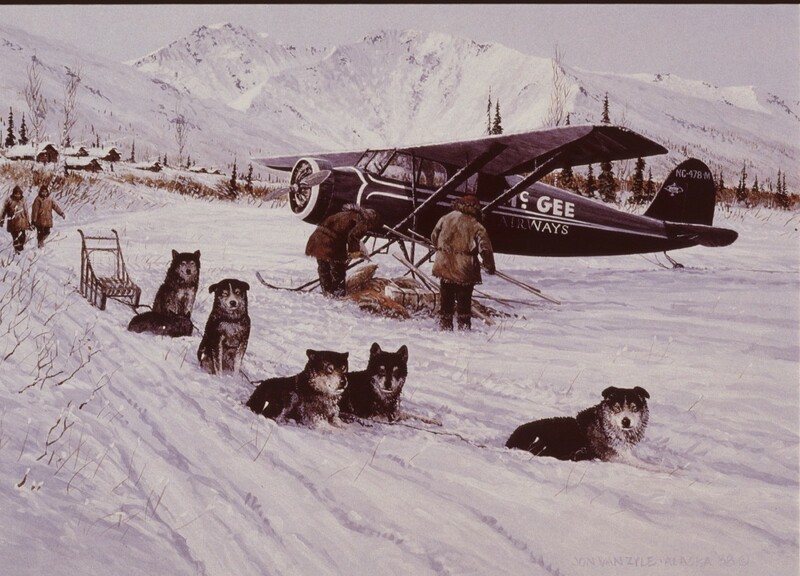 I first flew Alaska over Christmas in 1962 and many 1,000s of miles afterward. Fantastic job Alaska air team !! My brother did the original Aleut and miner. Good to see the article. That is really neat! I’ve always thought the native was my grandfather, Oliver Amouak. Your brother must be a great artist. I would have to agree with you. Judging by the photos they included in the article it’s pretty obvious they used the same photo of your grandfather as the one show on the “It’s Alaska!” pamphlet. Why picture a miner on the tail in a story about an Eskimo? A super, super story of an airline and the many, many people dedicated to service, to friendship, and a culture steeped in tradition. Continue to grow and to prosper while spreading the Alaska Air culture and service! We are now loyal customers of Alaska Airlines! You opened a hub in Raleigh, NC, and now we can fly to see our son and daughter in love in Anchorage, AK!! Trips have been great…thank you! LOL. now we know. It’s everybody’s innuit grandfather, including a female retiree, who was the model, and a guy with a mukluk hood and and attitude. Except, inuit is Canadian, inupiat is Alaska. And mukluk is boot, not a parka hood. I LOVE Alaska Airlines! I have had two wonderful trips to Alaska, both flying Alaska Airlines out of Chicago. My wish is that one day there will be more flights out of the “midwest”. Those of us in Kentucky have to drive to Nashville or Chicago. So make Owensboro KY a destination spot for Alaska Airlines! I love the story and I hope they keep that face on the tail forever. When I am in an airport and see a plane with that tail, it is home. Thanks for sharing the history of Alaska Airlines! Nicely done!